Are you looking to drive in style while enjoying the very best in high quality sound? Tired of listening to the same old tired stereo system that seems to go dull after a few years of usage? Want to pull up to the beach and party with everyone looking your way? Imagine speakers that not only sound great, but are also aesthetically pleasing as well! We picked two favorite 6.5-inch speakers on the market in 2018 that will get the job done for you and come at a great price. Looking mean in red and black, these 6.5-inchers from Boss Audio are certainly not a case of form over function. With adequate power handling and solid sensitivity, you’ll get a powerful sound that’s also beautifully clear. Perhaps the best thing about these speakers is the ultra-low price. If you act now, they are available at an aggressive discount. If you’re on the trail of a subtle pair of speakers, click away. If, on the other hand, you like something that makes a real statement, both visually and on the audio front, the Boss Audio 6.5-inchers deserve a place on your shortlist. From a respectable bass right though mids and high-range frequencies, the sound is clean and punchy. Build is dependable and these speakers will last many years if properly cared for. Already priced competitively, if you act quickly you can snap up these speakers at an incredible discount leaving you with some spare cash to consider investing in a subwoofer or amp. 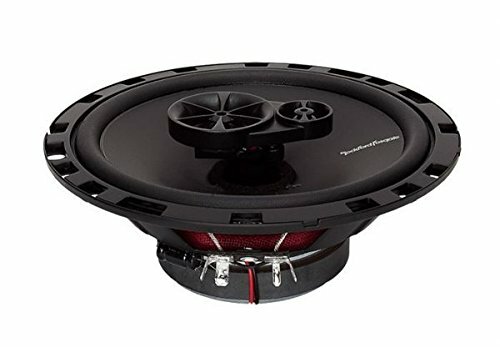 Rockford Fosgate specializes in serving up first-class car audio at anything but first-class prices. While power handling could be slightly better and low-range frequencies improved, these are minor gripes set against the crisp and undistorted sound you’ll enjoy with a set of the R165s installed. 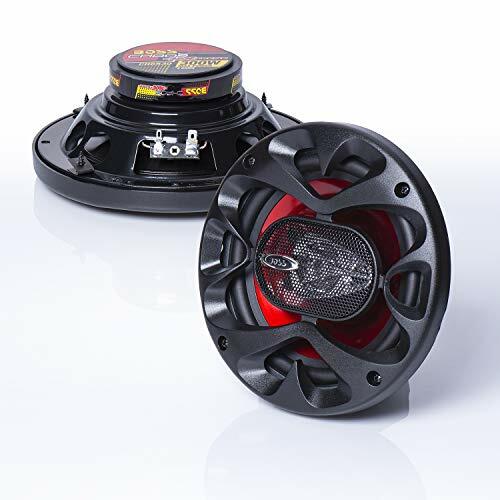 Rockford Fosgate delivers another winner in the form of these 6.5” speakers perfect if you’re looking to improve your stock system. A stamped steel basket helps out with low-end frequencies although we’d like to see a bit more oomph from the bass. Grilles, crossovers and all mounting hardware are included so you’re good to go straight out the box. These speakers are suitable for the beginner and audio enthusiast alike. The silk dome pole and Piezo tweeter give you all you need by the way of mids and highs for a rich overall sound experience.